Fabulous gallery! Left you lots of stars! Beautiful work! 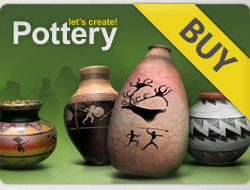 Viewed 48 more of your exquisite pots! Your colors just glow! 48 x 5*****! Gorgeous gallery ❤! 12 x ⭐️⭐️⭐️⭐️⭐️! I'll be back!